Unlike physical injury or illness, noticing the symptoms of a mental illness can be much more difficult. Your friend or family member may be struggling with mental health symptoms that aren’t obvious to an onlooker. Additionally, many mental health conditions prevent individuals from asking for help. For example, social anxiety disorder might hinder a person from seeking help due to their increased anxiousness in social interactions. Just one or two of these symptoms may not indicate the presence of a mental illness. However, if you notice persistent symptoms or changes in their behavior, consider asking them about how they’ve felt lately. If the symptoms have been disrupting their daily life and relationships, it might be time to seek help through therapy or other mental health services. 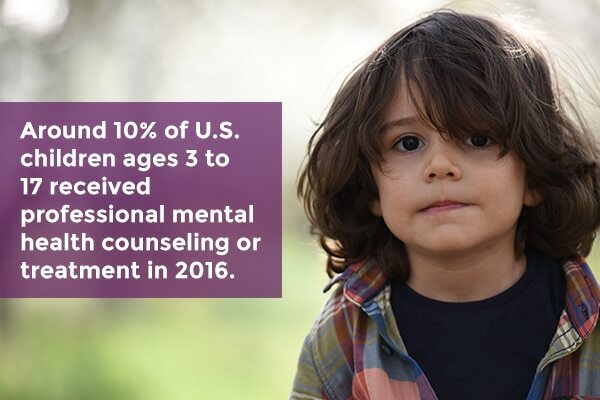 Although it may seem unusual to enroll children in counseling, about 10% of U.S. children ages 3 to 17 received professional mental health services in 2016. By taking action to help your friend, family member, or child, you can help them find recovery and relief from harmful mental health symptoms at any age. Next post: Divorce: Do My Kids Need Therapy?